Sign up here for a complimentary two year subscription to Midwest Living. Enjoy a 2 year subscription. No strings attached. You’ll never receive a bill. 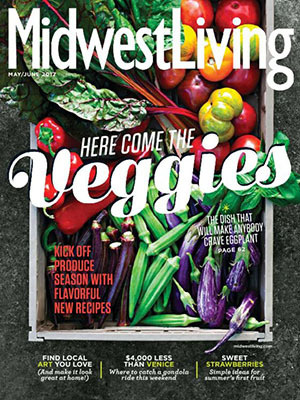 Midwest Living is a regional service magazine that celebrates the interest, values and lifestyles of Midwestern families. It provides region-specific information on travel and events, food and dining and home and garden. Enjoy the editorial focus on the simple, elegant traits of American culture often forgotten in the hustle and bustle of lifestyle magazines that are oriented more towards East Coast and West Coast living. Enter the information here to get your magazine.